Carter will oversee global enterprise security, advance a culture of accountability, and protect people, information assets, data and technologies for healthcare analytics firm MedeAnalytics and its clients. "Cindi is a poised and fierce addition to MedeAnalytics," said Paul Kaiser, MedeAnalytics CEO, in a press release. "As a respected leader in the industry with a proven record of success, Cindi's expertise and deep insight in cyber and data security will be a vital asset in the relentless protection of our organization, and the information and data entrusted to us by our clients." Named as SC Media Magazine's "Women to Watch in Cyber Security 2018," Carter previously served as the deputy CISO at Blue Cross and Blue Shield of Kansas City where she led vulnerability management, threat intelligence, and cyber defense. "I'm excited about joining MedeAnalytics, and it's my mission to ensure the company is safe, secure and resilient against cyber and physical threats," said Carter in a press release. "Security needs to be a shared mindset across the organization, from top-down and bottom-up. Advancing a culture that places high value on securing and protecting our company and the clients' information entrusted to us is my guiding principle." Carter holds several recognized certifications in security, information technology, and project management. She holds a Master of Science degree in Information Technology and a Bachelor of Science degree in Management Information Systems; both from Central Michigan University. 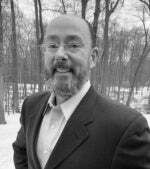 Gordon has more than 30 years of experience in the financial services industry. Most notably, Gordon held the position of vice president, CISO at RCB Bank. He implemented and managed the bank’s cybersecurity and enterprise risk management programs, which included managing internal and external audits and regulatory examinations, creating the vendor management office and implementing a successful continuous process improvement program. Gordon is also the founder of the CISO Mentoring Project and is an engaged mentor to many aspiring and active CISOs across the country. “I am very excited to now be in a position where I can contribute to helping thousands of organizations and individuals meet regulatory expectations and implement best practices,” said Gordon in a press release. Kilker will be responsible for driving internal and customer-facing initiatives related to security, governance, and compliance at the cybersecurity firm. He will also run newly created Fishtech Group Innovation Center in Northwest Arkansas. Most recently, Kilker was senior VP and CISO for Walmart Technology, where he established and operated a world-class cybersecurity program for the world’s largest retail organization. 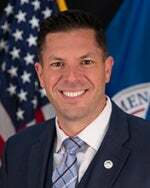 Harrell serves as the first Department of Homeland Security’s assistant director for infrastructure security within the newly renamed U.S. Cybersecurity and Infrastructure Security Agency (CISA). Recently recognized as one of Security Magazine's Most Influential People in Security, Brian is the former managing director of enterprise security at the Duke Energy Corporation. He is also the former director of the electricity ISAC and director of critical infrastructure protection programs at the North American Electric Reliability Corporation (NERC) where he was charged with helping protect North America's electric grid from physical and cyber-attack. Brian has spent time during his career in the U.S. Marine Corps and various private sector agencies with the goal of protecting the United States from security threats. Wilson will oversee strategy and operations of an information security function and will lead the Cyber Security Steering Committee. He will coordinate and collaborate with the IT department, risk management, corporate security, audit and compliance functions on all information security initiatives at the independent oil and natural gas exploration company. Prior to joining Pioneer, Wilson served as the head of information security at 1st Global. He led the IT compliance and security function at TPG Capital and the IT compliance and security group at Lehigh Hanson. Hahn will oversee operations for SVB’s cybersecurity, business continuity and physical security programs. He is based in Santa Clara and reports to CIO Nick Shevelyov. Hahn joins SVB from Hearst Corporation, one of the largest conglomerates in the world, where he led corporate information security and risk as the company’s first CISO. Previously, he led the creation of the cyber fraud program at Intuit. He also spent 23 years in information security at Wells Fargo. Cloud-based endpoint security vendor Carbon Black announced that Vanessa Pegueros, a seasoned technology leader and security executive, has joined Carbon Black's board of directors. Pegueros currently serves as vice president and CISO for DocuSign, Inc. Throughout her distinguished career, Pegueros has held numerous senior security executive positions, including roles at U.S. Bank, Expedia, Inc., Washington Mutual, Inc., Cingular Wireless and AT&T Wireless. "We're pleased to welcome Vanessa to the Carbon Black board of directors as we continue our mission to keep the world safe from cyberattacks," said Carbon Black President and CEO Patrick Morley in a press release. "Vanessa is a strong leader with a wealth of technology experience. Her impressive security background is a perfect complement to our board as we continue to scale the company and drive global growth." Dr. Rahman brings over 10 years of experience in government cyber defense programs and building security infrastructures able to protect against a variety of threats to his new role at Fidelis Cybersecurity, a provider of threat detection, threat hunting, and response solutions. Prior to Fidelis, Dr. Rahman worked as a contractor for the U.S. government designing, deploying and supporting big data cyber defense platforms for large customers. He has held senior leadership roles in his previous companies including vice president of technology and innovation as well as chief scientist. Dr. Rahman holds doctorate degrees in both physics and mathematics. He specializes in the development of analytical capabilities to process data for learning algorithms that enable pattern matching, correlation, and anomaly detection to support cyber network defense use cases. Thorpe joins cross-border commerce company eShopWorld with more than 20 years of global experience in information security and technology, including 10 years in senior leadership roles. The newly created CISO role is part of an ongoing commitment to data security and risk management. As CISO, Thorpe will be responsible for eShopWorld’s overall information security strategy. He brings expertise across information security, data protection, IT change management, audit and compliance. His previous industry experience spans banking, payments, retail and managed services consulting. Prior to joining eShopWorld, Thorpe was a senior manager at global standards organization BSI, where he provided advisory and auditing services regarding information security, data protection, digital risk management, governance and compliance to some of the world’s largest organizations. Prior to that, he served as a PCI security standards council advisor and head of IT and security at payment services and financial solutions company MyGate Global. He holds a post-graduate degree in Management Information Systems from the University of Cape Town and an MSc in Information Security from Royal Holloway, University of London. Simmons will continue to be responsible for all aspects of cybersecurity across Southwest's facilities, airports and aircraft, comprising of security engineering, security operations, incident response, threat intelligence, risk and compliance and security software development. Simmons joined Southwest in 2016, and he previously had leadership accountability for cybersecurity, IT strategy and enterprise architecture, IT maintenance and support and IT service management where he helped lead a multi-year department-wide transformation initiative to better align information technology with the business to deliver strategic initiatives. In this newly formed role, Kennedy will be responsible for managing all aspects of customer relations and success, as well as internal information security strategy at AttackIQ, a provider of continuous security validation.